At Family Care, our primary goal is to offer high quality primary care services for every one of our patients. This is an introduction to Affordable Family Care (AFC), a program we developed to address the lack of access to affordable medical services for the vast majority of low- and middle-income patients, especially those without health insurance. We believe that helping our patients pay for relatively small primary care expenses will improve their health and lower their risk for high cost specialist or hospital services in the future. What is Affordable Family Care? 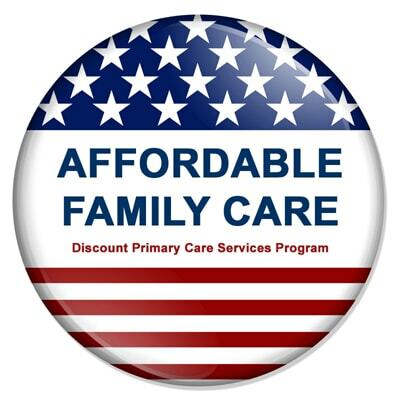 Affordable Family Care is a financial assistance program we have developed to help low income or uninsured people afford quality primary care at our office. The program is designed to reduce the price of primary care services by 5% to 50%, depending on the service. Patients enrolled in Affordable Family Care will also receive the ability to amortize their individual payments over 2, 3, or 4 months, depending on their total charges for each service. Total Bill less than $100, paid with TWO monthly payments. 50% paid at checkout on the date of service, plus 50% to be paid one month later. Total Bill less than $250, paid with THREE monthly payments. 34% paid at checkout on the date of service, plus 33% to be paid each of the next two months. Total Bill less than $400, paid with FOUR monthly payments. 25% paid at checkout on the date of service, plus 25% to be paid each of the next three months. For any balances larger than $400, custom arrangements can be made upon request. This should help patients budget for any service by setting their maximum payment at $100 per month or less. All monthly payments must be made on time to continue to receive this benefit for future charges. Discounts are taken off Self Pay Prices listed on our website. Registration and Income requirements apply. Who is Affordable Family Care for? Affordable Family Care is designed to help uninsured patients with limited budgets who need consistent treatment, testing, and follow up for long term chronic conditions. This will not probably not help someone who needs <3 visits per year, or does not have any conditions that require frequent blood testing. This program is designed to help those who need it most. To qualify to receive discounted services under this plan, you must prove your eligibility based on the requirements below. Single Person: Less than $40,000 / year. Married Person, including spouse’s income: Less than $50,000 / year. Single Person, with 1 child: Less than $60,000 / year. Married Person, including spouse’s income, with 1 child: Less than $70,000 / year. Increase of +$10,000 for each additional child on any plan. Be an existing patient at Family Care. Only patients with a previous visit history at Family Care will be eligible to sign up for this plan. This means you cannot sign up for this plan before you have established care at our office. The discount cannot be applied to a New Patient visit, so it will require you to pay for at least one visit at full price before beginning your discounted plan. You can apply the discounted rates to your first set of labs, however, if performed after your first visit. Complete the application form at the bottom of this page. This is the official registration form for the program. This also includes a brief survey designed to help our office understand the unique circumstances of patients that enroll in the program. 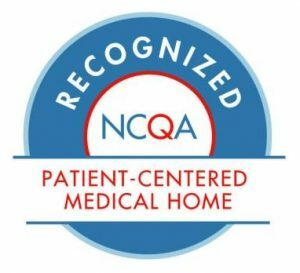 This is intended only for our own office’s use to help adapt the program to our patient’s needs and the individual’s information will not be distributed to the public in any way. Pay the $55 application fee. This is the cost to enroll in the program each year. The $55 fee allows you access to the discounted rates and financing options detailed above for the next 365 days. After one year, you will have the option to pay another $55 annual fee and renew your benefits in the program. Complete the form below to register for the Affordable Family Care program. You will also be required to provide proof of income in person at our office. If you have any questions regarding registration or eligibility, please contact our office. Thank you! If you are employed, what is your job title and where do you work? If you are unemployed, what is the last job you held? What is the primary reason for why you do not have health insurance? What are your opinions of how our healthcare system currently operates? What about our healthcare system would you like to change? What other considerations would you like us to make when determining your eligibility for this program?